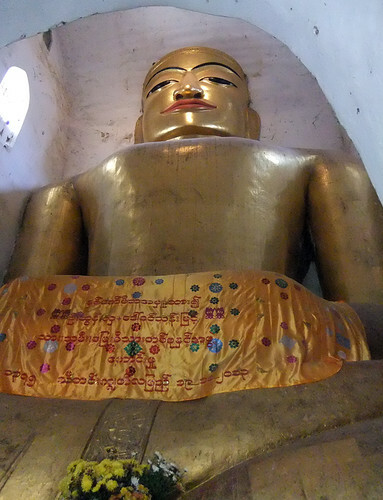 Our next stop on our ebike tour of Bagan was circled on our map as a ‘do-not-miss’ sight. 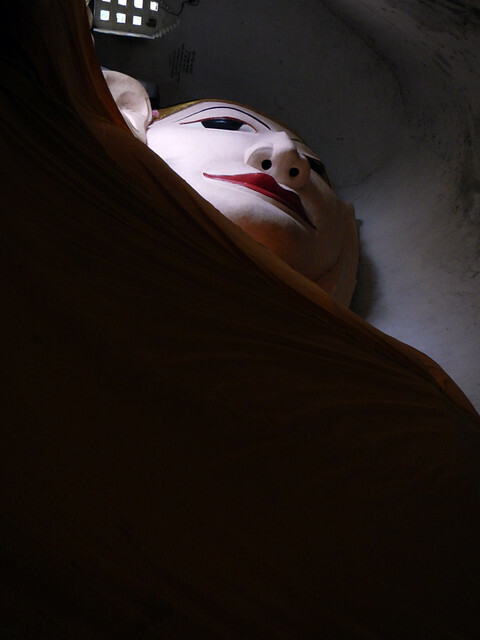 Built in 1059 by King Manuha, it contains three giant Buddhas, each one of them overwhelming the cramped space they inhabit. 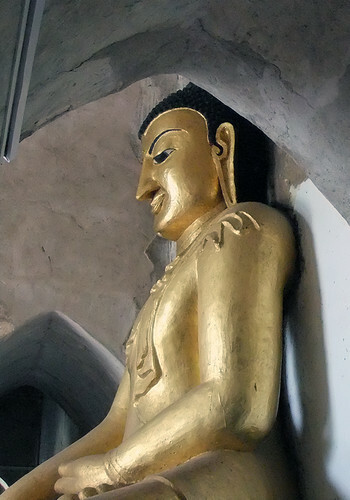 King Manuha was being held in an early form of house arrest at the time he ordered the temple built and although he had some freedoms, his Buddhas have an imprisoned feel, maybe indicating his state of mind at the time. Giant Buddha no. 1, lying in its coffin-like space. 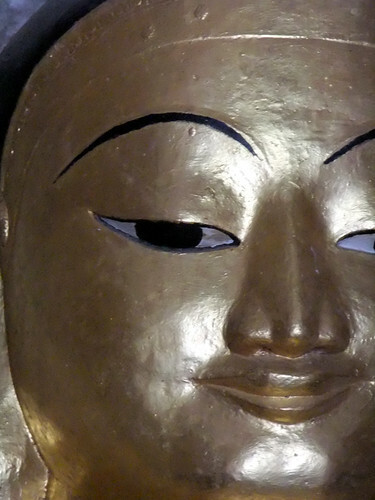 Giant Buddha no. 2, also cramped in its space. And giant Buddha no. 3. 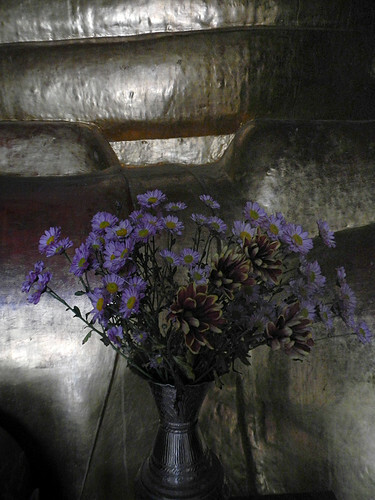 For some scale, the fingers on one hand of the Buddha against a bouquet of asters. 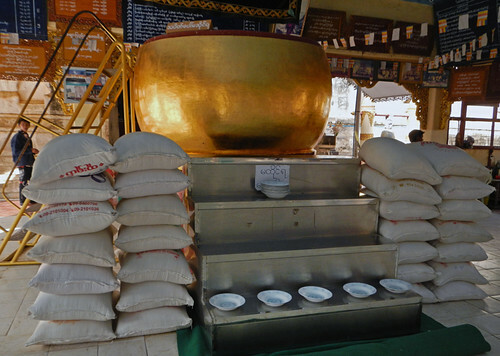 Keeping with the oversized theme, a giant golden begging bowl. 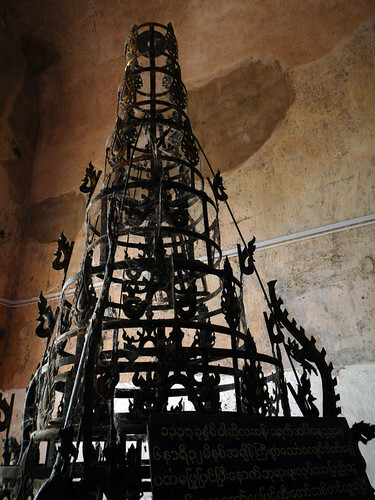 An antique temple topper – one of the few things that wasn’t oversized in this temple. 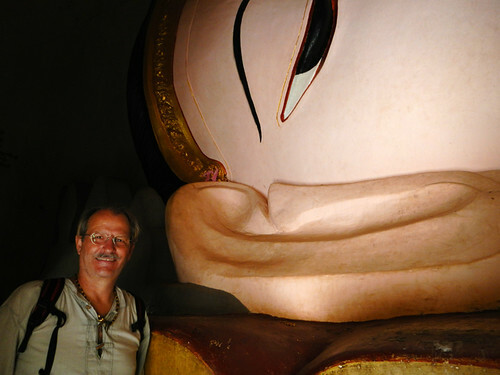 More about our November 2013 trip to Myanmar. More of the Daily Post’s Weekly Photo Challenge: Scale.